Sometimes, the most surprising discoveries can be right before our eyes, without even being recognised. Take the remarkable case of the giant pink slugs of remote Mount Kaputar in New South Wales, Australia. Measuring a very sizeable 8 in long, and boasting an extremely bright, fluorescent pink body colouration that looks more akin to a particularly lurid Photoshop creation than anything designed by Mother Nature, these exceptionally eyecatching, moss-munching molluscs are found nowhere else on Earth. 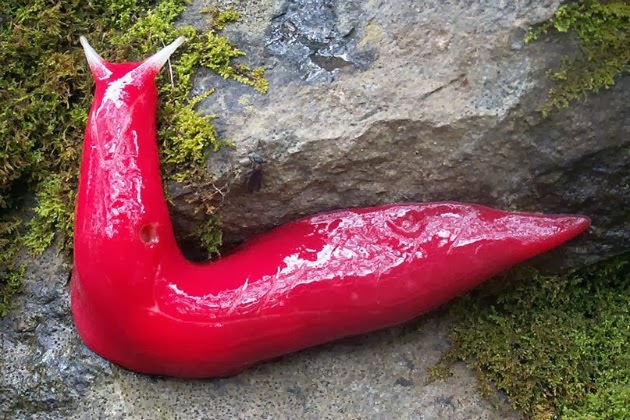 They have long been known to scientists, but until very recently were simply assumed to be a non-taxonomic variety of the red triangle slug Triboniophorus graeffei. Named after a distinctive triangular marking present upon its mantle, this is a smaller, less vividly-hued but very common species along Australia‘s east coast that exists in a range of different colours. 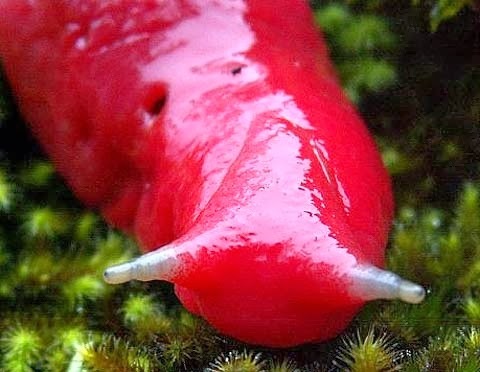 Following a new study of their morphology and genetic make-up, however, Mount Kaputar‘s giant pink slugs have been exposed as a distinct, valid species in their own right. This now awaits formal description and naming, although it is already known colloquially as the blood slug on account of its startling colouration. 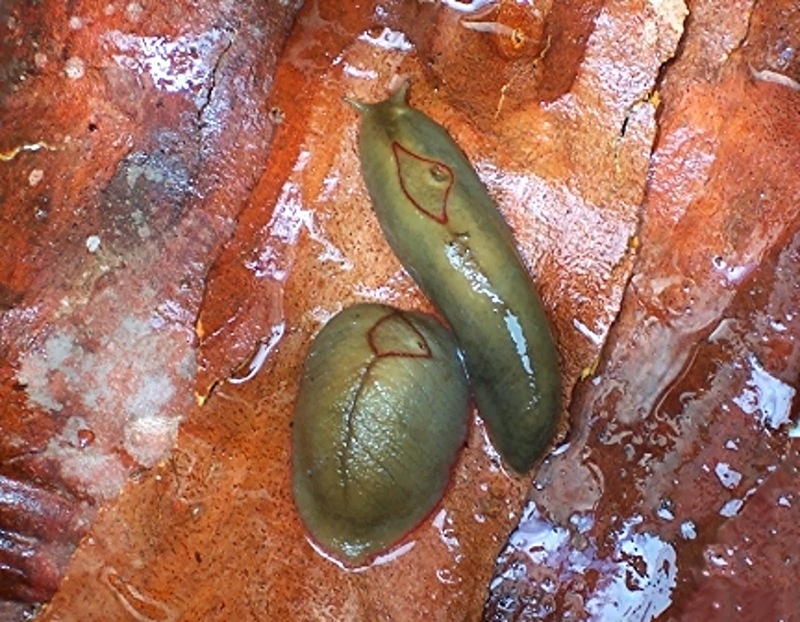 What makes its belated taxonomic recognition particularly interesting and zoologically significant is that this is now the only species belonging to the family Athoracophoridae that is known from inland Australia – all other species within the afore-mentioned family of land slugs (known as leaf-veined slugs) are of coastal occurrence. Its separate species status means that this shocking-pink mega-mollusc also becomes Australia‘s largest native species of land slug. But why is it pink? As it lives in areas of the forest floor richly carpeted with red eucalyptus leaves, its neon-pink hue may actually afford it camouflage.